Educated Cheese: You go there! You, over there! Yes, right there!! You go there! You, over there! Yes, right there!! We (The Cheese) have been screaming for trades and action and movement all winter and now all of a sudden it's dropped on us like a Prince Fielder Bomb. First there were all these rumors ::gasp:: that Adrian ::double gasp:: Beltre ::ungasp:: was making his way to Boston. All which appear to be true now. Then today there are more rumors (rumor-gasm) that Casey Kotchman is heading to Seattle for a prospect to come back this way. So many moves, so little time. So much awesomeness. 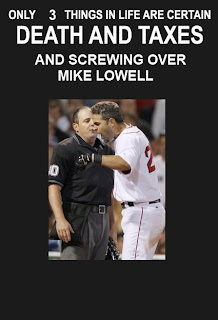 Lately the theme around Yawkey Way has been "How to F*ck over Mike Lowell" and while the Beltre move follows the theme like a well written Back to the Future musical (if there isn't one there should be) the Kotchman ditch doesn't. Assuming they get a prospect that goes to the minors, Lowell becomes the back up 1B/3B/DH who could definitely see a fair share ABs assuming his hip/thumb/murderous rage doesn't get in the way. Usually you don't want to pay $12 Million for a utility/backup guy though, sooooo I'm guessing there's still something else in the works that may have us saying our final good-byes to Mikey.